UK's first Electro Swing festival set in a fantastic wild location in Theberton, Suffolk - two days and nights of amazing music and entertainment from around the world. Maui Waui Festival strive to create an amazing atmosphere with beautifully crafted decor and finely tuned music, all the treats with canapes and cocktails. 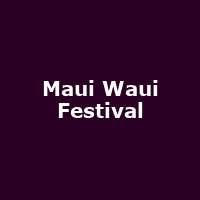 Maui Waui can satisfy all your senses, finding talented musicians and blending a complimentary mix of music styles together, adding people performing amazing acts, circus shows, cabaret and street art, its sure to be a full on excellent weekend.